Gazing out of the large arched window from the Camden Public library on the respite of a Saturday off, Camden Harbor, its mouth and Curtis Island have been my dominant exposure of Penobscot Bay thus far. I’ve been here roughly a month now, only a single day has produced temperatures above 50 degrees. Even when the sun emerges, a near constant breeze seems to be its constant protagonist. 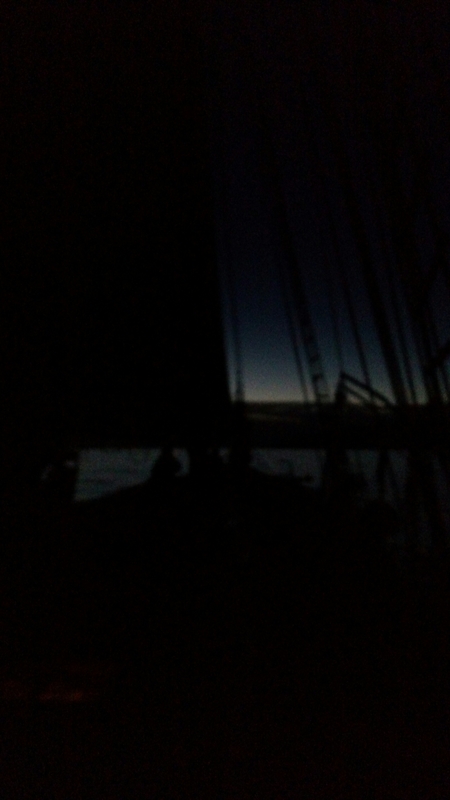 The fitting out period for the schooners of Camden has been an experience that caught me off guard and still after a month, I find myself back peddling and grasping at a budget that will keep me fed from paycheck to paycheck whilst I exist on the very vessel I am fitting out with other crew. 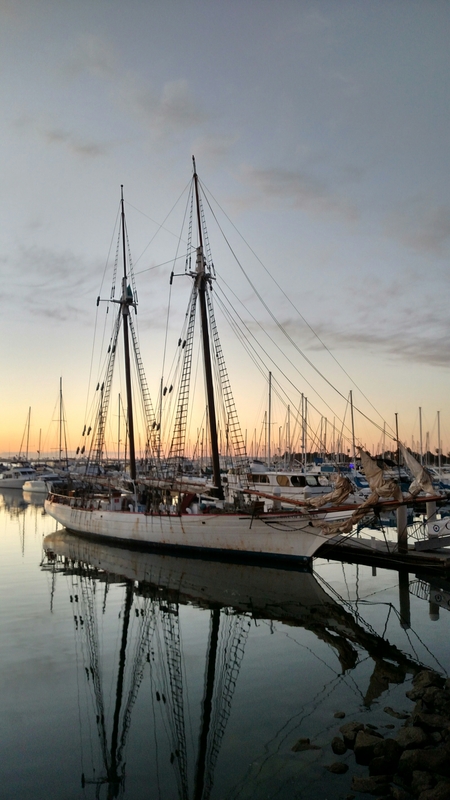 None of the work is new, rather the entire concept of down-rigging a schooner, encapsulating it in a plastic dome to endure the harsh winter only to remerge in the spring like the budding of a the barren trees is something that just does not exist in southern California waters. This time of the year, April, Maine still resided more often than not in a blanket of overcast and fog, with Megunticook on it’s ceaseless drainage into the harbor, the latter portion of the month speaks of returning birds, and schooners begin to emerge from their chrysalis and winter hibernation. 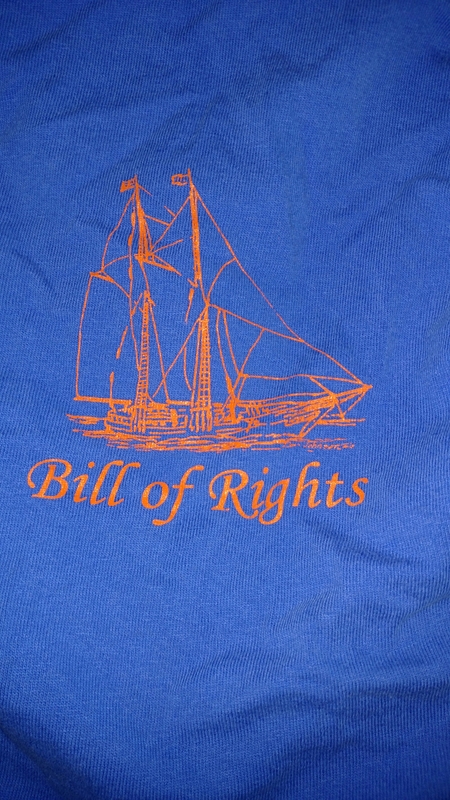 It was here in August of 1900 at the Bean Yard, the largest schooner ever built was launched. 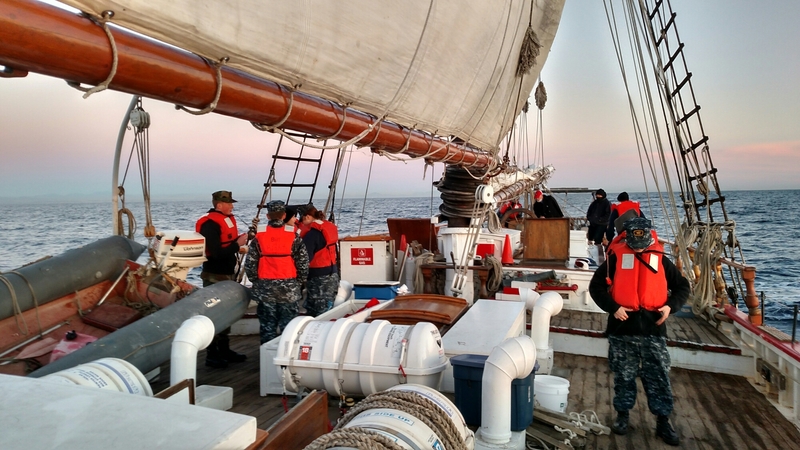 At 325 feet, the six-masted George W. Wells was greeted by a crowd of 10,000 people. This is Camden. Tucked into my pocket, the dying warmth of the pipe consoled the chill in my hand. An apparent wind in my face as the silent channel marker passed by, the watch forward called clear. A wreath and passed roses joined the water. Behind me, loved ones said goodbye. Lifting the bow above the swells. The Bristol time, when halyards recreated with tons. Constant reminders of the Bristol time. 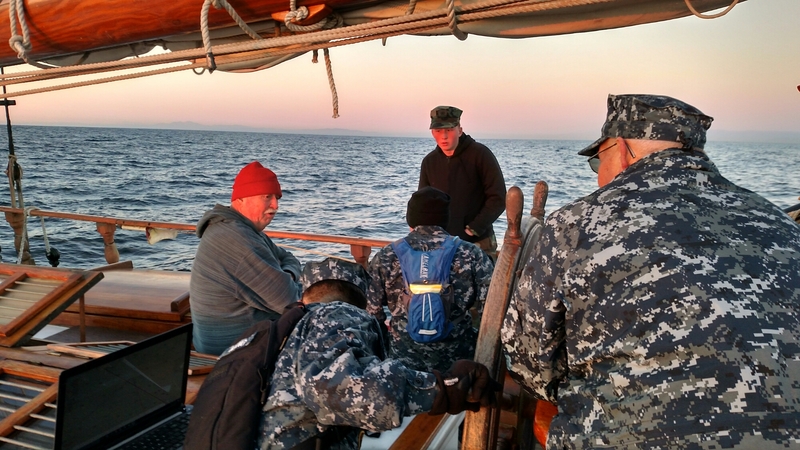 Tuesday and Wednesday, North to Catalina. 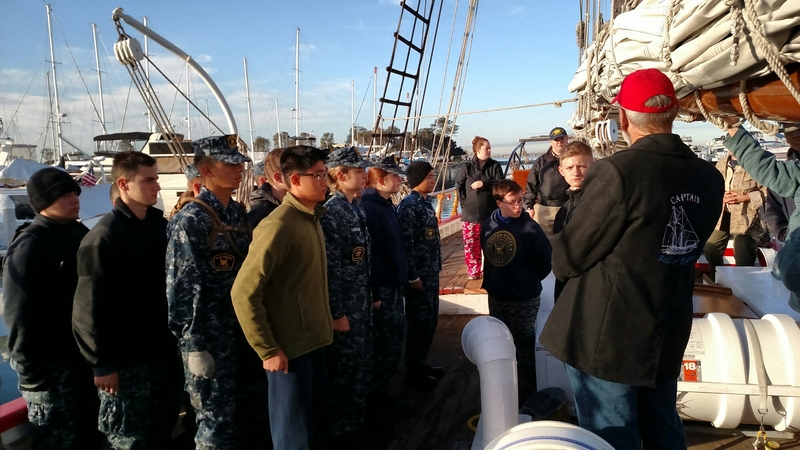 The day following Christmas, the schooner Bill of Rights loaded a cadre of Navy Sea cadets for a five day run to Catalina island and back. 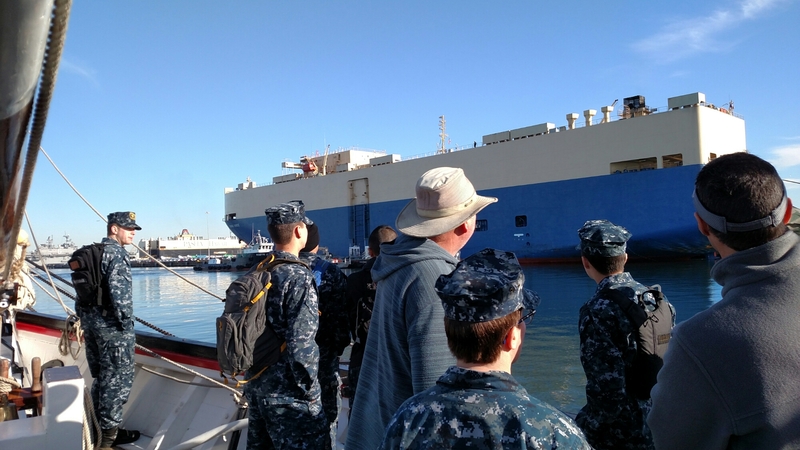 Unlike the previous trip of cadets, the sea was calm nearly the entire way. Not one case of sea sickness to my disappointment. I’ve always seen sea sickness as a bit of a right of passage for anyone who chooses to tread upon the water. And yet, this voyage isn’t over yet with the chance of inclimate weather later in the week. 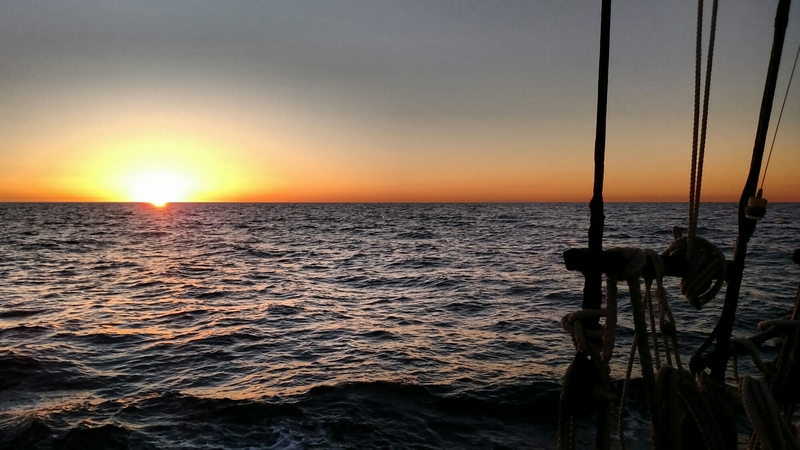 By sunset, San Clemente island was passing in the distance to the west. To my surprise as I awoke for watch at 0130, we were already passing Avalon. A fresh cup of coffee, no sooner had I assumed the watch when I caught my first shooting star. The Pacific was still calm as Bill continued to plod North along Catalina’s shoreline, albeit at a safe distance. A waypoint lay ahead, correcting course from 305 to 280 degrees. 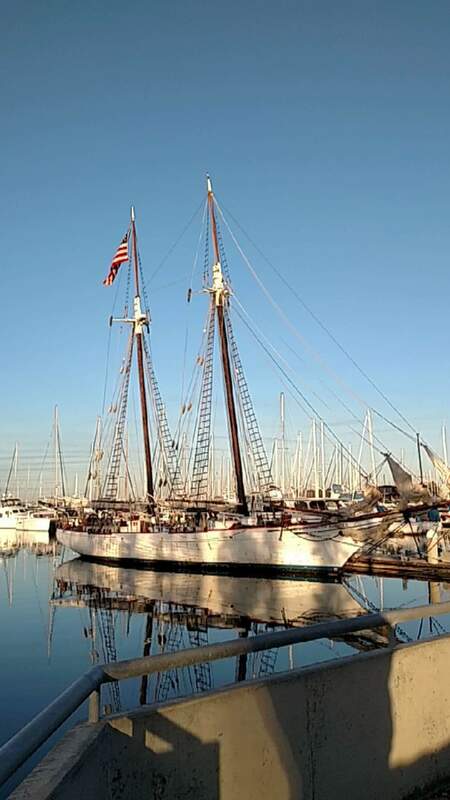 Changing helm personnel hourly, sometimes this old schooner kept on course, on other occasions she swam through the water like a sea snake. Being young kids, there would even be the rare instance of looking forward to see the west coast, specifically LAX, ahead. But they’re kids, and that’s what I’m here for. 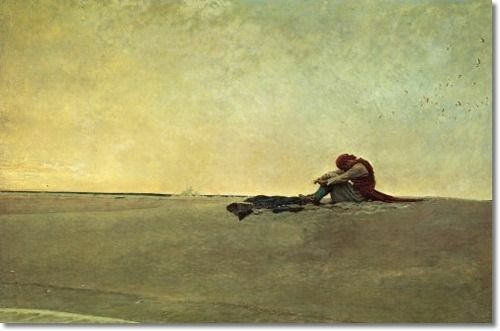 As the dark hours of the morning coursed by along the flat Pacific, intermittent claps along the surface caught my ear. Black waves, small, no bigger than the typical crest of water than one seas. Yet they contradicted the expanse that they interrupted. I grabbed into my jacket for my flashlight and lit the waters. Dolphin. 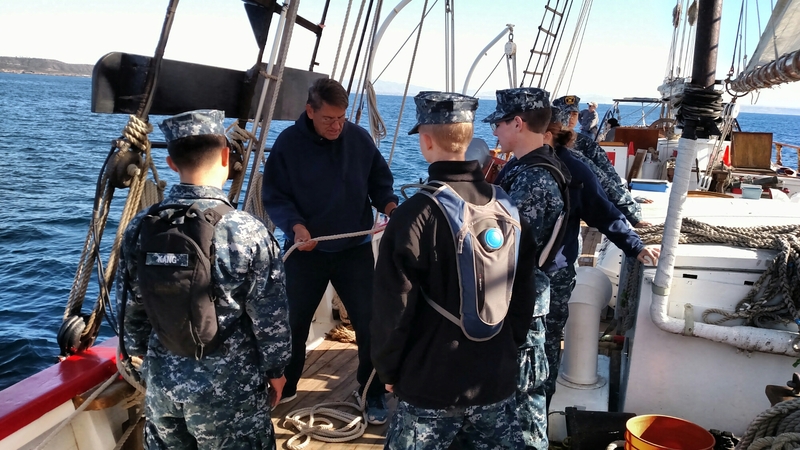 Bill was inside a pod as we cruised along the Northeast shore of Catalina. I invited the young helm over as I took the wheel. For me, pods never get old, it’s almost like it’s always the first time. For the kid at the helm it was the first time. Bow watch was getting vocal as well as the Cetaceans were surfing the bow wake. Watch had gone by fairly quickly with one more shooting star for good measure. In talking with K-, my relief, our lack of attention was interupted by the bow once again facing in the direction of the coastline. Oy. A few hours still til daylight and breakfast. A final glance at the stars, I lowered myself down into the focsle. 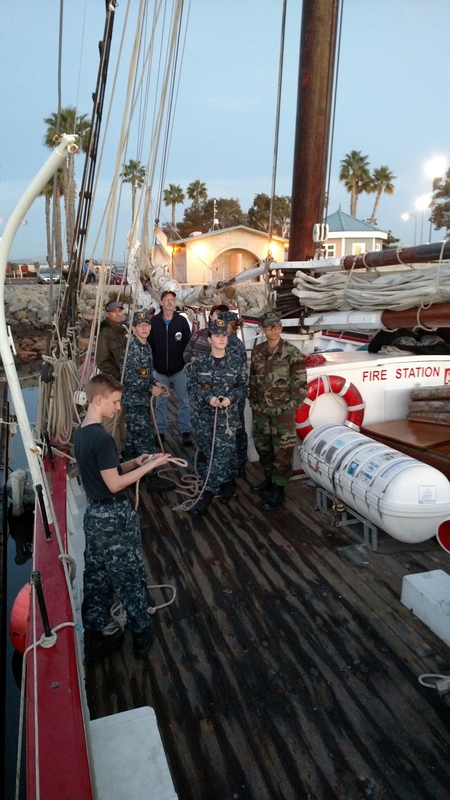 Cadets are aboard in preparation for five days off the coast to Catalina island. Busy day, as inclimate weather days before hampered the effort until Christmas day. Tonight, dinner will be taken, the ship will quiet and sleep. Tomorrow, underway. So, this pic is uncredited, no big deal, but in the long run it represents my first CoSPlay pic used outside of my own facebook posts. I’ll take it, something for the portfolio.